Robic has the Best Stopwatch and Timer for every Strength & Conditioning activity!! trust to look after all their timing needs. Regardless of the Program, basic to complex, there is a Robic timing product offering the ideal solution to monitoring your Athlete’s progress and performance. Never worry about the Water again! 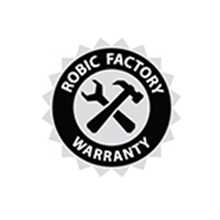 Many Robic timers come with break-away safety lanyards which help prevent accidents and promote safe use. Built the Best and Backed the Best. SC505W: Consecutive Single Events…no need to Reset the stopwatch…12 Reading memory recall, takes up to 199 readings without interruption. SC513: Repetitive Dual Interval Countdown Timer…Automatically times and counts the number of reps…hands free use! !